Hey Ladies. This post is a bit of a sad one as today is my last day in Australia before I jet back to dreary old England. I thought I would write a quick post to update you all as this will be my last post until I get back to the UK and back to normality. If you don't read my blog regularly then you will probably be a bit confused as to why I'm feeling so sad about leaving a holiday. Yes, I understand that everyone feels rubbish when they have to return home from their jolly bobs but for me, this has been a much more personal get away. Basically, I came to Australia back in April after going through a bit of a rough patch with my job and various people who were filling my life with negativity. I got really down in the dumps trapped in a job I hated and surrounded by backstabbers. I'm sure a lot of people have been in similar situations but I got to a point in life where every day was a stressful, upsetting and a down right struggle. My family got worried about me and I felt terrible for not only feeling upset myself but for upsetting my family too. My dad, step mum and two brothers live out here in Oz so when I got a phone call from my dad asking if I'd like to come to work and live in Australia for five months, I jumped at the chance. I wrote more about it in my 'Relocating to Australia' post here if you fancy a read. I still can't believe five months have past by since then, where does time go? Leaving home was a huge decision to make as I came here alone for three months before my boyfriend joined me in July. Leaving him was a hard decision and I missed him like crazy but ultimately, it has made us stronger as a couple. I still can't believe I managed to fly here by myself too. That alone is a HUGE accomplishment as I am so petrified of flying. If you have followed me on Twitter for a while you will know that I was panicking so much about the flight before I left that I was almost convinced I wouldn't be able to do it. However, it was way easier than I expected it to be and as soon as I touched down in Brisbane I was overcome with a sense of achievement. Since being on the other side of the world for a while, I feel like I have learnt so much about myself and have had a lot of time to sit back and think about life and what I want from it. If you read my post about dealing with OCD you may know that I am an insecure and sensitive person but this trip has really helped me with not only my confidence but my independence. Taking the leap to come here alone has taught me that no matter what my fears might be, I can tackle them if I put my mind to it. It has also taught me some valuable life lessons that include learning not to care what anyone other than my loved ones think about me. I was spending far too much of my time worrying about what people might think about me that it was consuming my mind and getting me down. At the end of the day, why should I care? Everyone is going to have their opinions and unless they mean something to me, I really shouldn't be fazed by people who have nothing better to do than spread their negativity. It has also been amazing to spend some quality time with my family as living on opposite sides of the world, it doesn't happen very often. I have developed such a strong bond with my little brothers and the thought of leaving them really breaks my heart. If any of you live away from family I'm sure you will understand how hard it is and how torn it can sometimes leave you feeling. In an ideal world I would love to spend six months of the year here and six months in England but sadly life isn't that easy. As I write this post now, I dread tomorrow morning when I have to say the word 'goodbye' but I also appreciate how much I have got to know them and how much stronger our relationships have become. Nobody likes goodbyes but I have to remember that goodbye doesn't have to be forever, just for now. As well as learning things about myself, I have also got to experience visiting some of the most beautiful places in the world. If you follow me on Twitter or Instagram I'm sure you will know what I am talking about as over the past few months I have had some of the best experiences of my life. Whether it be whale watching in the middle of the ocean, strolling along south bank in Brisbane or watching the world go by on the beach at Fraser Island, it has all been amazing and eye-opening. Its amazing to know that there are these beautiful places in the world and it gives me even more motivation to succeed in my career and life so I can experience them again in the near future. I have also seen my blog go from strength to strength these past five months. I began writing this blog as a little hobby but it has since developed into something I can't imagine being without. I have celebrated a huge milestone of 1000 followers and have even been invited to a beauty event later this year. I never thought anyone would actually read my little space on the web, let alone follow and support me. It has been truly lovely to get to know some of you over twitter and when I return to the UK I would love the opportunity to meet some of you. I promise I will do a HUGE giveaway when I finally get myself a job too. So with all this being said, you may understand why today is a tough one for me. However, although I am leaving my family here, I am going home to my other amazing family who I have greatly missed. If I have learnt one thing whilst being in Australia it is to try and be positive in every situation, even if I am feeling like rubbish inside. I know my family will always be here, even if they are on the other side of the world. After all, it's only a few plane rides away. Roll on Australia 2013 8). I hope this post didn't depress any of you too much, I just wanted to write a bit of a life post so you all know why I won't be posting until I'm settled in back at home. Until then, thanks for reading my blog, leaving comments, tweeting, emailing and making me a very happy girly! Here's to life and living it to the full. Hope you have a safe journey back home! If it makes you feel any better the weather hasn't been too bad this week! Kayleigh you're such a lovely lady. It sounds and looks like you've had the most amazing time, and you totally deserve it. I'm sure you'll brighten up England on your return :) It's really quite inspiring how positive you are. Great inspiring post, I love reading stuff like this, it always makes me feel good. Have a safe trip back to the UK. kayleigh, this is an absolutely gorgeous post, and so well written. it made me feel all soppy. saying goodbye to family is always going to be tough,you'll look forward to seeing them again now so much more. your little brothers are so cute! What a gorgeous post and fab photos! What a great post, glad you had an amazing time time in Australia and have a safe journey home. Awww! I'm glad your Australia trip has really benefitted you and made you stronger! I completely agree with you, there's no point caring what complete strangers may think of you! Such a lovely post! I'm glad you got rid of all the negative feelings :) positive outlooks all round! England will welcome you with open arms :)!! Ah this brought a tear to my eye cos I had those exact same feelings of being trapped in job, and what felt like a pointless life 2 years ago and I applied to be a holiday rep on a whim one day and it was the best thing I ever did, sometimes you really do need to be away from it all. I'm glad your break from England has helped you find yourself. One of my friends has just moved to Brisbane the other day and I'm so jealous, she's said how amazing it is already so I'm really jealous you've been there for so long. The photo's on this post are so lovely, the second one is my favourite, you all look so close on it. Have a safe journey and have fun when you get home :) I can't believe how fast it's actually gone! I LOVE your blog, it's super girly :) Please check out mine and let me know what you think? I'm definitely gonna follow!! What a lovely post. 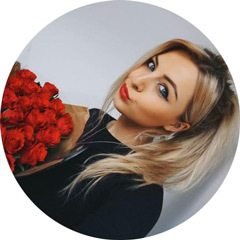 You have such a wonderful blog Kayleigh - I always think it's nice when people share a little bit about themselves and their personal story as well as just the beauty/fashion side of things. I can totally sympathise with wanting to get away from things whilst being in the middle of a tough time. It must have been lovely to do so and have your family around you at such a difficult time. Kudos to your boyfriend as well for being supportive enough to give you the three moths you needed - he sounds like a lovely guy. Absolutely adore your blog (you totally deserve the following you've gathered - as you're so genuine and lovely), and can't wait to read more about your return to the UK and how you're getting on. Aww I absolutely love this post. It was so nice to read. I am glad you have had such an amazing time in Australia and your little brothers are adorable! I am thinking of doing something similar. I have found this year really tough and come away from being the happy girl people knew I was. I have a diploma to finish but after that I want to be able to go live with my grandparents for a year or 6 months and kind of get away from everything. I am glad you had a great time in Australia and I hope you will enjoy coming back home :) Keep smiling and if you ever want to talk you know where I am.